The September 15, 2015 Federal Register will include notification from CMS that the comment period for the major overhaul of the LTC industry’s regulations will be extended. The comment period opened on July 16, 2015 for the sweeping set of regulations, which includes a mandatory Facility Assessment and competency-based staffing requirements. The Agency notes that it has received many requests from industry organizations requesting that they provide more time to review the massive proposal. The comment period was scheduled to end on September 14, 2015, but an additional 30 days have been added for the comment period, which will now end on October 14, 2015. 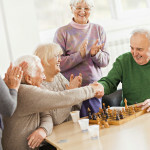 *Edit – several people seem to have needed additional information and so we are posting the link to the regulation for your reference for “Medicare and Medicaid Programs; Reform of Requirements for Long-Term Care Facilities – which can be viewed and commented on at: http://www.regulations.gov/#!docketDetail;D=CMS-2015-0083.